Here's where to watch every episode of Two Pints of Lager and a Packet of Crisps season 7. Mouseover or tap an episode to see where to stream it. Click or tap the play icon to stream it on the best available service. When Jonny Met Sharky Jan 13, 2008 After the Archer reopens following a refurbishment, all the girls decide to apply for the new barmaid's job.Jonny leaves for Hawaii to go shark-jumping, after winning a competition, leaving Gaz to try and find something more exciting to do. Dabdaa! 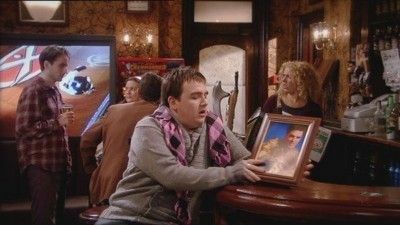 Jan 20, 2008 Janet tries to find a quick way to recover from her grief, following the death of her husband Jonny, so Gaz offers his help. Homophobia Is Gay Jan 27, 2008 Louise wants to move in with Janet, who isn't too keen on the idea, so Louise decides to try and convince her by holding a seance to contact Jonny's spirit. Dead Jonny Walking Feb 10, 2008 Gaz tries to change the born-again Christian Munch, back to his old self, by tempting him with alcohol. Meanwhile, Louise is disappointed to learn she's having a girl while Janet picks 'dead Jonny' as a theme for Donna and Gaz's wedding. Here bums the Bride Feb 17, 2008 Gaz and Donna finally tie the knot, but a shocking discovery by Louise could cause their new marriage to end prematurely. Six Months Later Feb 24, 2008 Janet's inability to keep up the mortgage payments result in her house being repossessed, so Gaz comes up with a plan which could suit everyone. African Death Face Mar 2, 2008 Louise tries to arrange for Donna to be her birthing partner.Gaz and Janet's increasing attraction is disturbed by a sudden announcement from Donna. Borry Mar 9, 2008 Gaz is not keen on moving south with Donna, and has fallen in love with Janet; Donna has met a new man called Wesley in London and wants to move on from Gaz. However, Gaz lets slip that he and Janet are in love, and Donna throws beer over them but eventually realises that Janet and Gaz belong together, because they are "scum"- but in a nice way.Meanwhile Louise is about to give birth, aided only by Munch, and produces (in The Archer) a beautiful girl whom she names "Louise Louise Brooks", although she tells Munch the name is "Louise Munch Brooks". 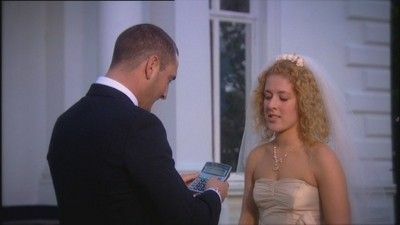 Gaz and Donna part on ostensibly good terms, and the episode closes with flashbacks of moments throughout the series, to the background of Avril Lavigne's "When You’re Gone".